With summer inching toward us, now's an ideal moment to make a switch in the way you moisturize—up your defenses against fine lines and sleepy creases, and pack in some targeted moisture to offset the rise in temperatures and humidity. Plus, tailoring your own cream to suit your needs is a great way to cut out the harsh chemicals and alcohols in over-the-counter products. It's also the best kind of crafting pastime in my opinion! This small-batch cream takes about 10 minutes to make (apart from the time to melt up and cool down) and, unless you're not thorough with mixing tasks, it's totally idiot-proof. Here's how to go forth and conquer the DIY game and concoct a formula that'll keep you radiant and fresh-faced in the months ahead. Best part: You get to choose what you put in it! 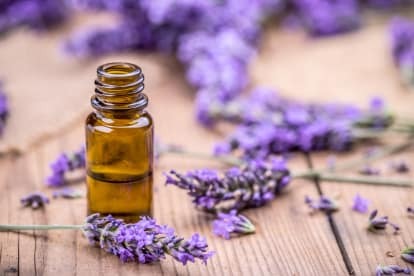 When making your own do-it-yourself-recipes that involve aromatherapy oils, take the time to decide which base will best suit your skin type. Perfect for diluting concentrated essential oils because they are less likely to irritate or sensitize the skin, carrier oils are also healing in their own right. They carry unique therapeutic and nutritive properties, which means the benefits are seemingly endless. Pure botanical butters are luscious skin-conditioning ingredients for cream—melt or whip into your recipes to give your creations a creamy and smooth texture. Beeswax provides a thicker, more viscous base for your essential oils. It also has many wonderful healing properties of its own. Facial massage can really make magical things happen. Try this buccal massage when you apply your cream (the term is derived from the Latin word bucca, for "cheek"), which involves massaging muscles deep inside the cheek and jaw area to release tension, improve circulation, and, of course, promote unicorn-level radiant skin. Note: This is a cream, not a facial oil. And the little extra effort will be worth it—you'll actually have made a face cream (hurrah), you'll know exactly what you put into it (double hurrah), and it's pretty damn effective—as all the best natural things are. Heat 50 mL of carrier oil with 15 grams of beeswax in a bowl of simmering water. Remove the oil mixture from the heat and leave to cool down for several minutes. Wait until it starts to set. Now, add up to 10 drops of whatever essential oil you want to use as the mixture starts cooling. Or get nifty and add in two different essential oils (5 drops each). Pour into a clean glass jar and seal. Allow the product to fully set before using. Label and use within a month.